One of the commonest questions asked of creationists is: ‘How did the great variety of humans arise from a single human pair?’ It is ironic that many people who regard this as unanswerable believe something far more incredible, that all living organisms have arisen from a single cell, which itself arose from non-living chemicals. 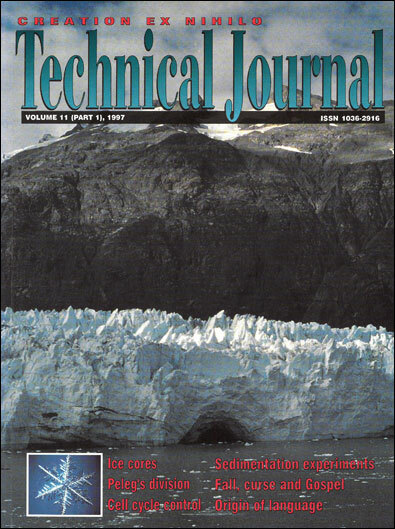 If one can believe that random mutation and natural selection is an adequate explanation for those huge changes (with vast increases in information content), then these mechanisms surely suffice for the creationist view of minor changes (which do not involve generation of new, functional information). The Creation/Fall theory can account for all the variation in humanity by pointing out that the original pair had an enormous genetic variability. Reshuffling of this variability, some loss of complexity due to mutations, and natural selection can explain all the current variability. This has been explained in detail in The Creation Answers Book Chapter 181. The book points out that a wide range of skin colours can arise from just four genes for melanin distribution. The different eye colours arise from light scattering off melanin particles in the iris, with the observed colour depending on the amount and depth of the melanin. The blueness of the sky is similarly caused by light scattering off air molecules, while the pink/red sunset results from the shallower angle of the sun’s rays. Dust particles enhance this effect, often leading to very vivid sunsets. Albinism is caused by a harmful mutation greatly reducing or destroying the ability to synthesise melanin. Without melanin in albinos’ eyes, the blood vessels are visible, so the eyes are pink. However, particles-to-people evolution must postulate a mechanism which can produce new complex information. Natural selection cannot produce information; it can only select from the information available to it. One aspect of the wide variety of humans is all the different blood types. The following explanation covers the main A, B and O blood types2. The A and B blood groups are caused by different antigens (substances which provoke immune responses) on the surface of the red blood cells. Their production is under the control of the DNA. The antigens develop from a red blood cell surface precursor called H substance, which is common to A, B and O. Type A results from the placement of N-acetylgalactosamine by the enzyme type A transferase on the H substance. Type B results from attachment of galactose to H by Type B transferase. Type O is the result of a simple point mutation that greatly reduced or destroyed the ability of Type A transferase to attach N-acetylgalactosamine to H substance. Note that this is an example of loss of information, so is irrelevant to particles-to-people evolution. This ineffective Type A transferase is called circulating protein. The ineffectiveness of type O’s circulating protein depends on the point in the DNA where the mutation occurred, because some type Os attach more N-acetylgalactosamine to H than others. This sometimes causes discrepancies among blood banks. The mutations probably happened early in human history, since O is the most common blood group. Unattached H substance itself is an antigen which results in the rare blood type Bombay or Oh. There is one gene in humans that controls the ABO blood type. There are three versions of the gene, or alleles: A, B, or O. Since the gene is always present as a pair of alleles, with one inherited from each parent, the possible genetic make-up of any individual is AA, BB, AB, AO, BO, or OO. The O allele is recessive to the A or B, meaning that in the presence of the A or B allele, the blood type is determined by the A or B allele. 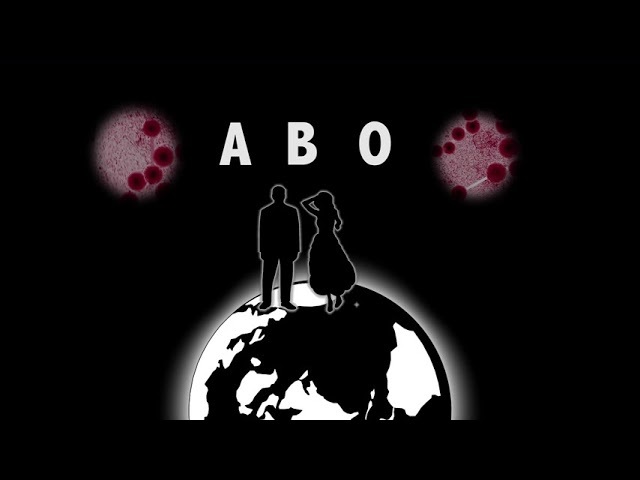 That is, an AO person has A-type blood; a BO person has B-type blood, whereas only an OO person has O-type blood. Anyone with O-type blood is called a universal donor because their blood lacks the A or B antigens so that O-type blood can be given to a person with A, B or AB type blood. If, for example, A-type blood is given to a person with B-type blood, an allergic reaction can result in death of the recipient. AO and BO, AB and OO, AB and AO, AB and BO, AA and BO or BB and AO, that is, any combination where both parents have all three alleles between them. Another possibility is that the O gene arose later by mutation as discussed above. If so, the parents would only need to have A and B between them, so they could both be AB, or AA and AB, BB and AB or AA and BB. If Adam and Eve were genetically AO and BO, for example, their children could have had AB, AO, BO or OO genetic make-up, giving AB, A, B, or O blood types. Indeed, about 25% of their children would have been of each type (see the Punnet Square — below) 3. If Adam and Eve had 56 children, as per Jewish tradition, then there would have been about 14 of each blood group. One anti-creationist asked: ‘What use are blood types, which only make blood transfusions difficult?’ and called the variety a ‘flawed design’. However, the claim of ‘flawed design’ is unscientific unless one can demonstrate a better design. And the first rhetorical question presumes that just because we are ignorant of a use, there can be no use. In fact, it is in principle impossible to prove that an organ is useless, because there is always the possibility that a use may be found in future. This has happened with over a hundred alleged useless vestigial organs which are now known to be essential4. The thymus was one gland which was thought to be useless, but now we know that it is the first organ to produce lymphocytes in the embryo, and where the T lymphocytes are made. ‘The thymus is central to the development and function of the immune system.5’ Severe immunodeficiencies result when the thymus is rendered useless or destroyed. This is the main problem with AIDS victims. Their T lymphocytes are destroyed by the virus. Even the appendix, widely thought to be a useless evolutionary vestige, contains lymphatic tissue and has a role in controlling bacteria entering the intestines. It functions in a similar way to the tonsils at the other end of the alimentary canal, and are known to increase resistance to throat infections, although once also thought to be useless organs6. It is also a mistake to assume that there is no use for the blood types. There are immunological relationships between A, B and H antigens and those of bacteria and vegetable matter and how our bodies respond to invading micro-organisms without destroying self. There also seems to be a relationship between blood type and heart problems (not the claimed Type A behaviour relationships). Type A blood has more cryoprecipitate which blood banks want. The mutant Type O blood type seems to predispose people to develop stomach ulcers7. The variety in blood groups could also mean that some blood diseases could not destroy the whole population, if the pathogen was adapted to a particular blood type. What were Adam’s and Eve’s blood types? Batten, D.J. (ed. ), Catchpoole, D., Sarfati, J.D. and Wieland, C. 2006. 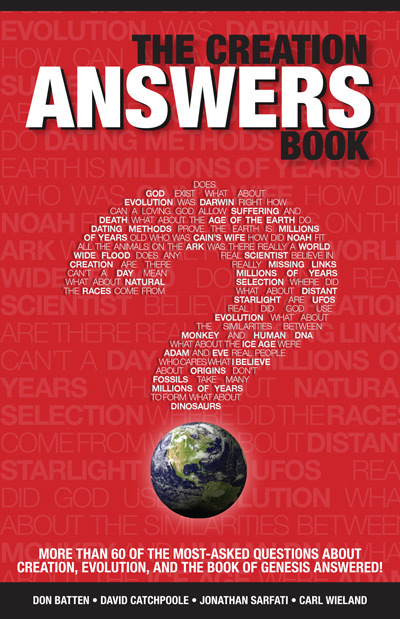 The Creation Answers Book, Creation Book Publishers, Brisbane, Australia. Return to text. This explanation is based on an article in Creation in the Crossfire (Torrance, CA: South Bay Creation Science Association). The information for the article came mostly from the Technical Manual of the American Association of Blood Banks. Return to text. Batten, DJ, 1996. It’s in your blood. Creation 18(1):45. Return to text. Wiedersheim claimed that there were over 180 vestigial organs in the human body, in Wiedersheim, R., The Structure of Man: an Index to his Past History. Translated by H. and M. Bernard (London: Macmillan, 1895). See a refutation of the ‘vestigial organs’ argument for evolution. A thorough creationist treatment is Bergman, J. and Howe, G., “Vestigial Organs” Are Fully Functional (Kansas City: Creation Research Society Books, 1990). Return to text. Basic and Clinical Immunology, 4th Ed., p. 65. Return to text. Glover, W.J. 1988. The Human Vermiform Appendix—a General Surgeon’ Reflections. Journal of Creation 3(1):31–38. Return to text. See ref 2. Return to text.